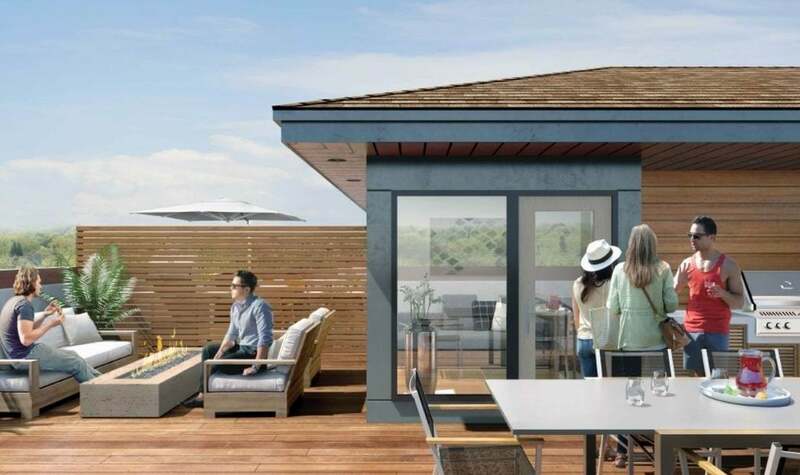 The rooftop collection includes a top floor with loft and plenty of outdoor living space. A key feature of some of the towns is a rooftop terrace. The contemporary collection includes a ground-floor den. Interior finishes include European-style kitchens and hardwood. 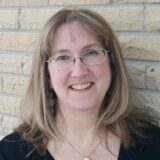 What do you do when the market shifts on you? You shift with it, which is exactly what the developer of Ottawa’s Fresh Towns did with its west-end project. Originally conceived as a series of five low-rise condo buildings at the corner of Baseline Road and Morrison Drive, the prolonged slump in the condo market over the past few years meant builder Greatwise Developments needed to change direction. In fact, the Toronto-based builder originally designed the project so that it could easily change if needed, releasing the two condo buildings closest to Baseline first and keeping the rest as a contained chunk of land that was held back from development. Doing so gave Greatwise more flexibility to rethink its offering. As a result, the remaining three condo buildings have vanished, to be replaced by a series of 90 freehold townhomes in an enclave that makes a gentler transition between the condo buildings on Baseline and the established one- and two-storey homes to the north. 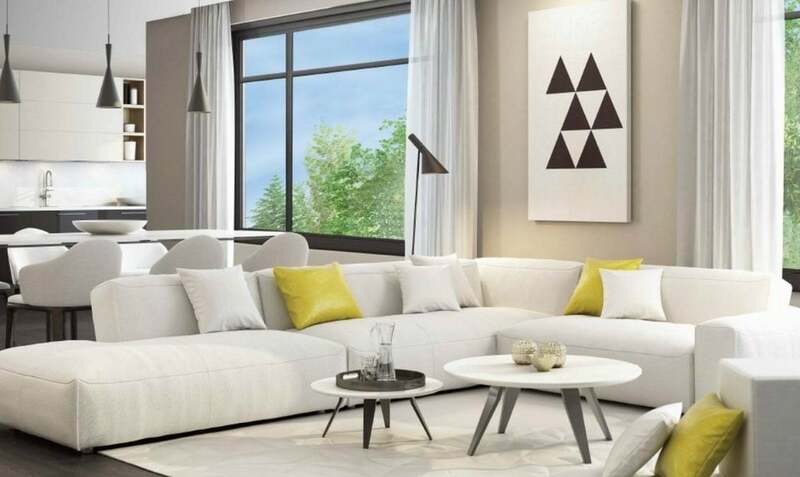 The new towns will replace existing rental towns that were always scheduled to come down, offering suburban-style living with “more of an urban feel to it” and within the city core, says Derek Nzeribe of Milborne Group, the real estate firm representing Fresh Towns. 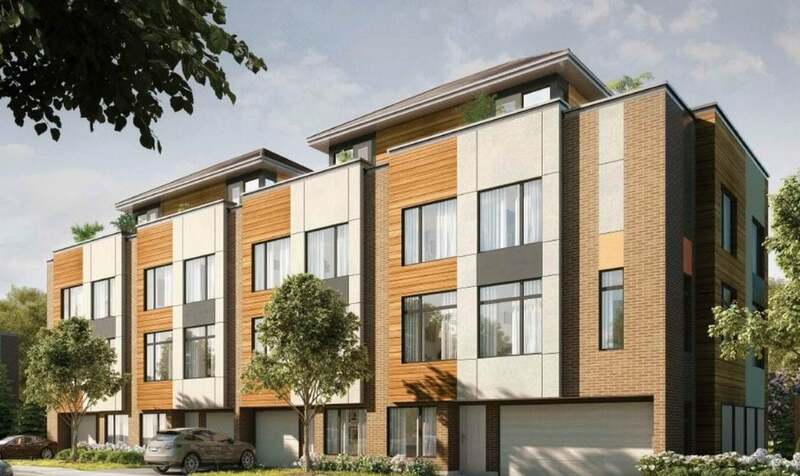 The three-storey homes feature a blend of contemporary towns that are more typical of the townhome style we see in Ottawa, and a second set of back-to-back towns that borrow from condo features such as a rooftop terrace. 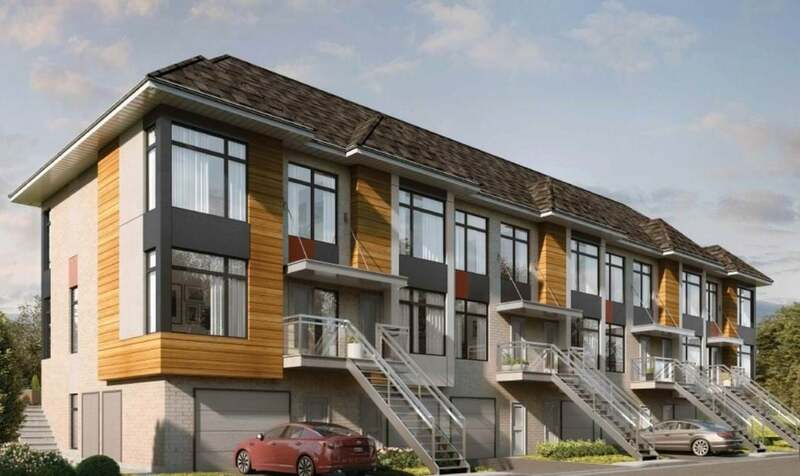 “It’s a fresh concept, a fresh way of thinking, a fresh design for townhomes in this area,” says Nzeribe, and at a price that’s appealing to younger buyers. The homes were designed by architect Rod Lahey, with interiors by West of Main. Exteriors are a mix of brick, cement board and wood-look siding in a modern elevation, while interiors are clean-lined and contemporary, with the option to go a bit more traditional. There are four feature/finish palettes to choose from and flexibility is the key, says West of Main designer Sascha Lafleur. The palettes range from a modern Euro-style with high-gloss, flat-panel cabinetry, to mid-century modern with natural tones, to a more classic white Shaker style. “We tried to hit all of the possible audiences so that anyone who came in would have an option they loved,” Lafleur says. There are six floor plans and 39 lots in the first phase. They range from a 1,037-square-foot, two-bedroom contemporary town to a 1,661-square-foot, three-bedroom rooftop town with a double-car garage. All homes have a garage and feature a ground-floor space that works as either a home office or family room. The main living space is on the second floor and bedrooms are on the third. There are no basements, and the rooftop towns include a fourth level with a small loft and generous rooftop terrace. Room vignettes at the sales centre show off the many features that come standard, like quartz counters, soft-close drawers and engineered hardwood on the main floor. Also included: stackable washer and dryer on the bedroom level and stainless-steel kitchen appliances, plus pot lighting throughout, air conditioning, a two-stage high-efficiency furnace and a heat recovery ventilation system. Since it’s in an established neighbourhood, there are plenty of amenities nearby, including schools, services and shopping. It’s close to the Queensway and the Queensway-Carleton Hospital, and major shopping at Bayshore, College Square and the Ikea mall are all just minutes away. Occupancy is expected in November 2018. For up-to-date starting prices and location, check out our Fresh Towns development profile.